For folks who like to hangout where it’s hot and hip, The Nice Guy is no stranger. The upscale lounge from the H.Wood.Group—the hospitality team behind such nightlife staples such as Delilah, Harriet’s Rooftop, Petite Taqueria, and SHOREbar to name a few—offers intimacy and privacy especially with its no photos policy. Sure, it’s chic, but who knew the eats are as impressive as the décor? 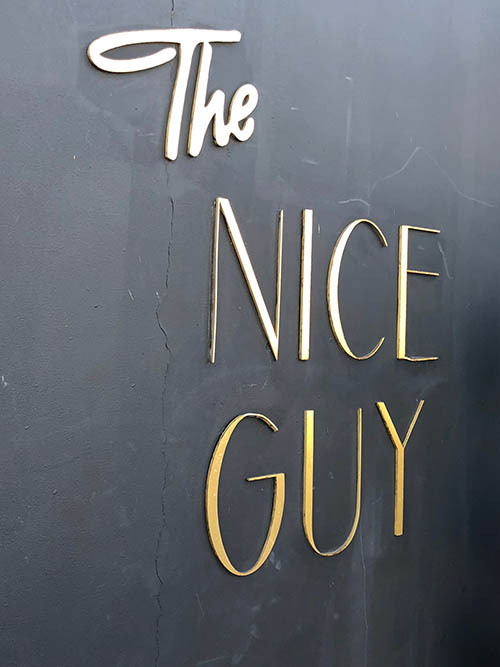 With an aesthetic meant to evoke the decadent era of Mafia bars and restaurants, where the owners and their friends can enjoy an evening together, I figured The Nice Guy would be all eye candy and didn’t expect much from its food and drink programs. I figured it didn’t have to. 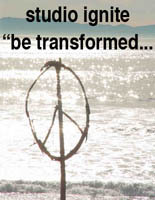 But that’s not the case. While the cocktails aren’t stellar, at least not in the impressive handcraft category, the food, in particular its vegan and vegetarian offerings, really deliver. Who knew? During a recent visit, we made our way through the vegan and veggie menu and were treated to a night of good, healthy eats. 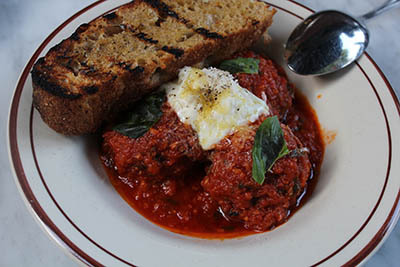 We started with the Molinari’s Meatballs prepared with Impossible meat, spicy tomato sauce, and burrata, and served with slices of grilled bread. The presentation is nice and the flavor even better. This is a great starter item, albeit vegetarian and not vegan as it does have cheese. I’m not even going to harp on the fact that this does taste great—maybe not exactly the same as a real meat meatball but it’s not that, what it is, is a very flavorful and pleasing dish. 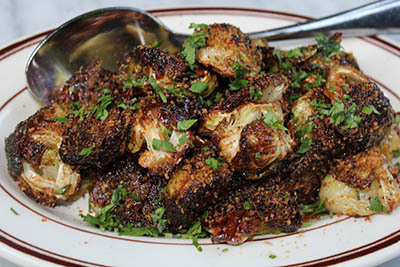 If you’re looking for fresh veggies, the Roasted Brussels Sprouts with “Caesar” vinaigrette, feta and breadcrumbs is delightful. Skip the feta and it’s a vegan dish. But really, this is just a good, healthy plate of greens. It’s tasty and good for you. 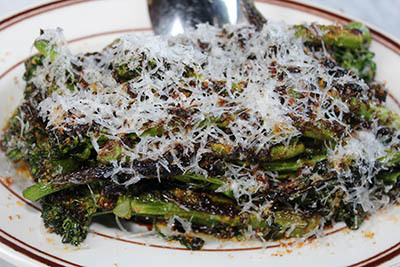 Taking it up a notch, the Charred Broccolini with pickled shitake mushrooms, cippolini agrodolce, and sweet pickled fresno chili is a delicious vegan option. The fantastic flavors here just go through the roof. 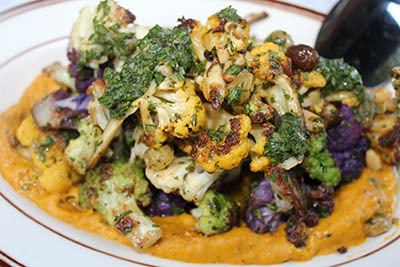 Another great veggie option is the Heirloom Cauliflower prepared with vadouvan squash curry, pine nuts, raisins, and salsa verde. The curry sauce really works here and I love the flavors that the nuts and raisins add. I just wanted to soak up every drop of the tasty curry sauce. I think my favorite item of the evening was The Nice Guy Burger. 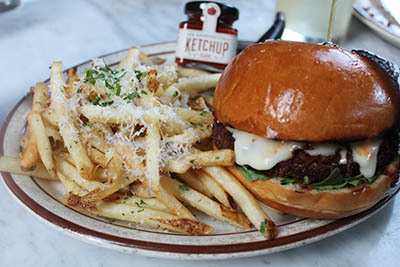 Made with Impossible meat, arugula, caramelized onions, house made American cheese, and fries—we upgraded to Truffle Fries with parmigiano, truffle oil and Italian parsley—the flavor and texture were a hit. Again, this isn’t going to be the greatest burger a meat lover will ever have but it is damn good. It’s so rich and just really pleases. It’s one of the best meatless burgers I’ve had in some time. 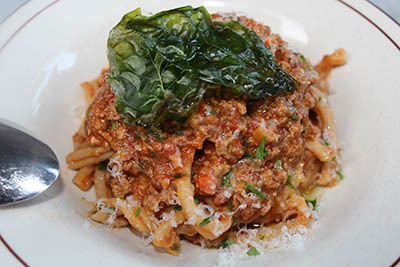 If you’re looking for a pasta dish, the Fusilli is prepared with Impossible meat Bolognese, parmigiano Reggiano, roasted tomatoes, and fried basil. This one didn’t wow us so much as the pasta was somewhat bland, although the Bolognese was so good—just like the meatballs. Kudos to The Nice Guy for offering such tasty and healthy options. Most hotspots like this don’t pay too much attention to its dining menu as guests just want to get in to be seen and see the scene but the eats here aren’t an afterthought as these veggie choices really deliver. 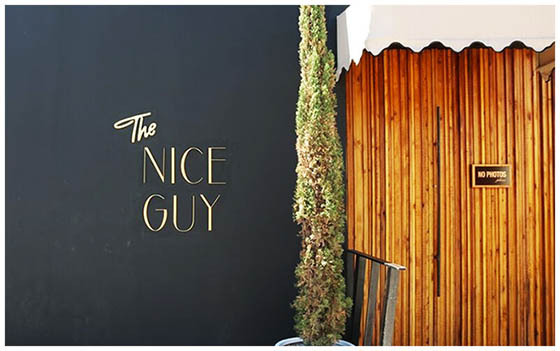 The Nice Guy is located at 401 N. La Cienega in West Hollywood. 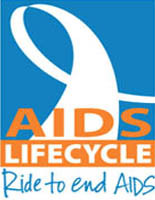 Open daily starting at 6pm. 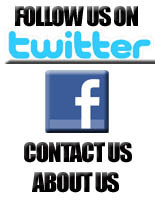 Call 310-360-9500.